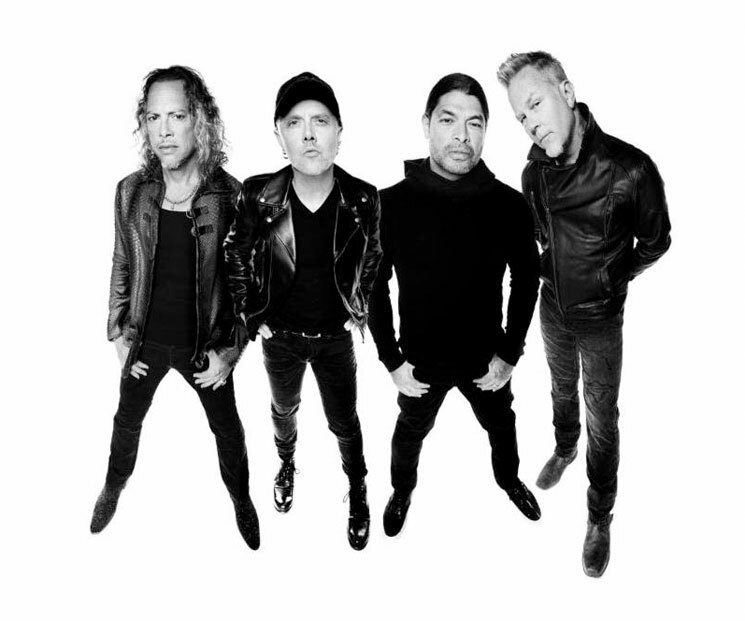 Fresh off the release of their latest LP Hardwired…To Self-Destruct, Metallica have unveiled plans to play a special show in Toronto next week. The band will bring the new material to the Opera House on November 29, and proceeds from the concert will be donated to the Daily Bread Food Bank. Fans that are part of the Fifth Members program have early access to a shot at buying a maximum of two tickets at the price of $25. You can enter here for a chance at the pre-sale, which will take place on Wednesday (November 23) between 9 a.m. and 10 a.m. local time. Full instructions will be emailed to members tomorrow (November 22). As for non-Fifth Members, you'll have a chance to grab a maximum of two tickets for $100 each starting on Wednesday (November 23) at 11 a.m. local time via Ticketmaster. In addition to proceeds from ticket sales going towards the Daily Bread Food Bank, collection bins will be set up at the venue the night of the show, and attendees are encouraged to bring donations of non-perishable food items. Below, relive the band's 13-video campaign behind Hardwired…To Self-Destruct.